The Orange Tree Golf Resort in Scottsdale, AZ, one of Arizona's finest luxury golf resort destinations, recently had the Phoenix-based company, Easy Energy, install a solar water heating system. The solar water heating system is designed to offset the natural gas usage in the nine large boilers throughout the Scottsdale golf resort. It is estimated that the new system will save 465 tons of CO2 annually, which equates to planting 34,500 trees each year. The new system provides all 160 Orange Tree Golf Resort guest rooms and on-site laundry facilities with water heated by the Arizona sun. “Solar water heating is the most efficient way to capture solar sunlight,” says Brian Bartel, President of Easy Energy. “With over 300 days of abundant sunshine available every year, the Phoenix area is ideal for implementing widespread solar technology." Recently awarded a finalist for the Scottsdale Green by Design Award from the Scottsdale Convention & Visitors Bureau, the Orange Tree Golf Resort in Scottsdale, AZ is recognized by the community for its green efforts in reducing non-recyclable waste, reducing water usage and implementing a recycling program on property. 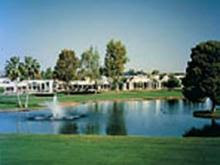 Orange Tree Golf Resort is a Shell Vacations Hospitality (SVH) offering. SVH has a collection of 26 resorts, hotels and lodges ideal for family vacations, romantic getaways, retreats, reunions and business trips in popular destinations in the U.S., Mexico and Canada. Shell Vacations Hospitality is a subsidiary of Shell Vacations LLC, a premier developer of upscale vacation ownership resorts. Bluegreen Corp has completed a private offering of $107.6 million in timeshare-loan backed securities. The proceeds were used to pay off a receivables purchase line at Branch Banking and Trust Co., and capitalize a reserve fund. The company also retained $9.9 million for general corporate purposes. “The attractive credit profile of our loan portfolio and a low interest rate environment allowed us to structure a transaction on favorable terms," said Tony Puleo, Bluegreen’s senior vice president, CFO and treasurer, in a news release. The offering involved $88 million of A-rated and $19.6 million of BBB-rated notes, with coupons of 5.1 percent and 7.5 percent, respectively. BB&T Capital Markets acted as the placement agent for Boca Raton-based Bluegreen which provides vacation properties. Bluegreen Corp. was founded in 1966 and has been publicly traded on the New York Stock Exchange since 1986. The company is a leading provider of colorful places to live and play through its resorts and residential community businesses. Bluegreen is organized into two business segments: Bluegreen Resorts and Bluegreen Communities. Bluegreen Resorts acquires, develops and markets vacation ownership interests in resorts generally located in popular high-volume, "drive-to" vacation destinations and provides various services to third-party resort owners. Bluegreen Communities acquires, develops and subdivides property and markets residential land homesites, the majority of which are sold directly to retail customers who seek to build a home in a high quality residential setting. In some cases, the properties feature a golf course and related amenities, and also offer real estate consulting and other services to third parties. In addition, the company is engaged in a resort management business and the financing of individual purchasers of vacation ownership interests and, to a nominal extent, homesites sold by Bluegreen Communities. Bluegreen Resorts has more than 194,000 owners and offers an ownership plan that provides access to more than 45 resorts and an exchange network of over 3,700 resorts and other vacation experiences, such as cruises and hotel stays. Starwood Hotels & Resorts Worldwide, Inc. has announced the settlement of its lawsuit against Hilton Worldwide alleging the misappropriation of Starwood trade secrets and confidential and proprietary information. Rueters reporter Deena Beasley wrote about the suit, explaining that Starwood Hotels & Resorts Worldwide Inc sued rival Hilton Hotels and two of its top executives for corporate espionage, accusing the pair of ex-Starwood workers of stealing trade secrets to speed Hilton's entry into the "lifestyle" market. Both executives had been closely involved in Starwood's W Hotels brand. Starwood sought monetary damages and a court order that would stop Hilton's new Denizen "lifestyle" brand projects. "This was a blatant case of theft of trade secrets, computer fraud and unfair competition," Starwood's general counsel, Kenneth Siegel, said in a statement. In its complaint, Starwood said the two executives were "aided and abetted by Hilton" and "stole massive amounts of proprietary and highly confidential Starwood information which was used to expedite Hilton's entry into the lifestyle hotel market, reposition its luxury brands and substantially reduce its costs and risks of doing so." The settlement requires Hilton to be subject to an injunction to be supervised by monitors appointed by the federal district court to assure that the conduct that occurred does not occur again. Additional terms of the settlement are confidential. Starwood Hotels & Resorts Worldwide, Inc. is the 8th leading hotel and leisure company in the world, with 1025 properties in 100 countries and territories with 145,000 employees at its owned and managed properties. Starwood Hotels is a fully integrated owner, operator and franchisor of hotels, resorts and residences with the following internationally renowned brands: St. Regis®, The Luxury Collection®, W®, Westin®, Le Méridien®, Sheraton®, Four Points® by Sheraton, and the recently launched Aloft®, and Element SM. Starwood Hotels also owns Starwood Vacation Ownership, Inc., one of the premier developers and operators of high quality vacation interval ownership resorts. World Green Tourism Abu Dhabi (WGT), the first global event dedicated to the investment and development of sustainable tourism, took place November 22-24, 2010, in Abu Dhabi, the capital city of the United Arab Emirates. The event consisted of a three day interactive conference supported by an exhibition bringing together regional and international tourism authorities, urban city planners, hotels and resorts, property developers, airlines, key associations, tour operators, green products suppliers, museums and heritage sites organizations, and universities involved in sustainable tourism. Green tourism is set to dominate the next half century according to WGT officials. A featured speaker at the WGT event was Suraphon Svetasreni, governor of the Tourism Authority of Thailand (TAT). Addressing the conference, Svetasreni spelled out how Thailand, as an emerging world-leading destination, would seek to reconfigure its offering in order to meet changing demands. “We recognize there is no other option but to work toward a green standard, as this is what the modern consumer and well-informed world traveler wants,” he explained. "Green is the new norm”, noted Svetasreni. "Promoting a healthy respect for the environment and the careful management and utilization of limited resources is essential if Thailand is to ensure a bright and promising future for its people." This new focus on ecological concerns would be a radical change Svetasreni added. Tourism plays an increasingly significant role in Thailand’s national economic and social development. As reported by Breaking Travel News, over 14 million foreign tourists contribute almost US$15 billion to the Thai economy, while domestic travel contributes an additional US$12 billion. Tourism accounts for 10% of Thailand’s total GDP and contributes to a wider distribution of income, and as such tourism plays an increasingly significant role in Thailand’s national economic and social development. In closing his speech Svetasreni added: “We recognize all sectors of Thai society need to work together towards a cleaner-and-greener Thailand. We have a long road ahead of us. The American Resort Development Association (ARDA) applauds the Florida Attorney General’s Office for its recent injunction against yet another fraudulent timeshare resale operation, stated Howard Nusbaum, ARDA president and CEO in a recent press release. This is regarding a move by the Florida Attorney General’s Office to seek an emergency injunction against a West Palm Beach timeshare resale operation for fraudulent practices. ARDA has released consumer advisories to help consumers and timeshare owners navigate through the secondary market, which includes timeshare resellers, internet advertisers and other resale companies, to ensure a safe and positive selling experience. The advisories were developed to help dispel the growing misinformation and confusion in the secondary marketplace by providing specific tips on reviewing timeshare resale companies, their practices, costs and services in the marketplace. "Although there are many reputable companies that provide resale services, the largely unregulated secondary market also includes some that use unscrupulous tactics to take advantage of owners who may wish to sell their timeshares," explained Nusbaum. Most recently, the Florida Attorney General’s Office took action against Creative Vacation Solutions, a timeshare resale operation in West Palm Beach, for charging nearly $2,500 in marketing fees from hundreds of customers but did little or nothing in return. "We applaud the efforts made by Florida Attorney General Bill McCollum to investigate dishonest resale companies whose actions taint the industry’s reputable resale companies. ARDA continues to work with its members to ensure transparency on both the buying and selling process," Nusbaum stated. "We encourage consumers searching for timeshares or a timeshare company to conduct thorough research by visiting bbb.org where you can make informed decisions on ethical companies based on their Better Business Bureau rating," said Niki Horace, BBB's vice president of marketing and public relations. For example, "RedWeek.com has earned an A+ rating, the Better Business Bureau's highest rating." Travel Ticker®, a leading travel website, has announced the results of its annual "Traveler Intentions" Survey. The poll is based on the opinions of almost 2,000 U.S. consumers, regarding their leisure travel intentions for the next year. 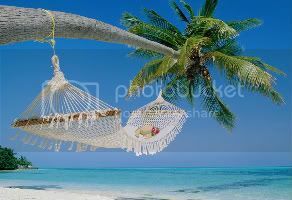 The results indicated that as compared to 2010, 87 percent of respondents intend to take the same or more leisure vacations in 2011. In addition, when asked if they would fit more travel into 2011 if good deals were available, 94 percent of respondents answered yes. “It’s great to see that, after quite a bumpy year, consumers feel ready to start taking their long awaited dream vacations, especially if presented with inspiring travel deals,” said Barbara Messing, General Manager of Travel Ticker. According to the survey, for the second year in a row, 18 to 30-year-olds spearhead the move to take more leisure trips in 2011. Out of all respondents, 48 percent of 18 to 30-year-olds said they plan on taking more leisure trips in 2011 than the previous year. This represents a five percent increase from last year’s poll. Of all respondents, only six percent said they plan on traveling less in 2011. Of these respondents, 48 percent cited their economic situation as a hindrance. A better economic situation and more free time listed as top reasons for more leisure trips in 2011. Thirty percent of all respondents said that they believe that their current economic situation will improve in the new year, resulting in the benefit of being able to travel more in 2011. This number is up ten percent from last year’s survey. In addition, 31 percent of respondents said that they planned on traveling more in the new year due to an increase in free time. Given a good deal, 94 per cent of all respondents would fit in more leisure travel in 2011. While many consumers believe that they will be more financially stable in 2011, they are still on the lookout for heavy discounts, travel perks and incentives to inspire their travel. In fact, 66 percent of those polled went so far as to say that they would be comfortable being spontaneous when it came to travel, letting the deal be their inspiration for planning upcoming trips. Find a great budget timeshare rental online for some of the best travel deals you'll find anywhere for 2011, and join the increasing leisure-travel statistics! Wyndham Worldwide has announced that its Exchange & Rentals business unit, the worldwide leader in vacation exchange and the world’s largest full-service vacation rentals business, has acquired James Villa Holidays from the private equity fund Vespa Capital. James Villa Holidays has a strong presence across the Mediterranean villa holiday market offering accommodations along with other travel services and products to the UK market. The acquisition price is approximately $77 million. With this acquisition, Wyndham’s Vacation Rentals business further expands the scale and scope of its vacation rental program in France, Spain, Portugal, Italy, Greece, Cyprus and Malta. The inclusion of James Villa Holidays into the Wyndham Vacation Rentals portfolio will also create a strong position for the company to expand across further Mediterranean countries and provide additional travel options and benefits for consumers and villa owners alike. “We are absolutely thrilled to welcome James Villa Holidays into our growing vacation rentals business. James is an exceptionally strong, trusted and high-profile vacation brand with a fantastic team of professionals who we welcome to Wyndham Worldwide,” said Geoff Ballotti, president and CEO, Wyndham Exchange & Rentals. “We are very excited to join our efforts with such a trusted, successful and reputable organization as Wyndham,” added Tony Wheble, CEO, James Villa Holidays. “James Villa Holidays’ mission has been focused on providing customers the best-of-the-best holiday destination options and the necessary tools to make the planning process as simple and seamless as possible. Marriott Vacation Club, the premier timeshare brand of Marriott International, Inc., has appointed Gregg Forrester to lead general manager of Marriott's StreamSide at Vail in Colorado, with tactical oversight of Marriott’s Mountain Valley Lodge in Breckenridge, Colorado. A 30-year Marriott veteran, Forrester began his career in 1980 at the Los Angeles Airport Marriott. He continued to hold various management positions over the following years at the former Denver Marriott Southeast, the New Orleans Marriott, and the former Austin Marriott at The Capitol in Texas. In his most recent role, Forrester served as senior director of resort operations planning at Marriott Vacation Club International’s corporate headquarters in Orlando where he oversaw the operations planning, design and delivery of Marriott Vacation Club’s newest resorts. “We are thrilled to have someone with Gregg’s experience, combined with his exceptional leadership skills, to lead both Marriott’s StreamSide and Marriott’s Mountain Valley Lodge to continued high levels of success,” said Jane Berg, regional vice president of customer experience for Marriott Vacation Club’s West region. A native of London, Forrester holds his bachelor’s degree in hotel and restaurant management from California State Polytechnic University, Pomona, California. During his tenure with Marriott, he has been actively involved in fundraising efforts for Children’s Miracle Network and continues to support this charity in his new role. Forrester will be relocating from Orlando to Vail with his wife, Mitzi and their two children Ian and Alec. Are you geared up for skiing this year? Marriott’s StreamSide at Vail (see photo above) is ideally located in one of America’s most desirable ski locations and boasts spacious one- and two-bedroom villas with all the comforts of home. Each villa features fully-equipped kitchens with spacious living areas, multiple televisions, washer and dryer and gas fireplaces. Two-bedroom villas can accommodate up to eight guests. Surrounded by the beauty of the Rocky Mountains, Marriott’s Mountain Valley Lodge (photo at left) in Breckenridge offers a mountain retreat with endless winter recreation, shopping, dining and entertainment. Studio and one-bedroom villas feature fully-equipped kitchens, spacious living and dining areas, multiple televisions and private balcony or patio. One-bedroom villas can accommodate up to six guests. A new report from the United Nations World Tourism Organization (UNWTO) has singled out developing nations for praise following sharp increases in spending, as reported by Breaking Travel News. Despite the continuing difficulties in the global economy, two thirds of national tourism organizations in developing countries increased their budgets last year the report finds. The Budgets of National Tourism Organizations, 2008-2009 goes on to say that the trend can in part be attributed to the continuing trend towards establishing well-funded national tourism promotion agencies in emerging economies and the awareness of the potential for boosting tourism through increased promotion. Carried out in conjunction with the European Travel Commission (ETC), the report adds the importance of additional funding as a complement to initial budgets seems to have been increasing. Additional funds are used to cater for sporting mega-events; to promote big cultural events, business events, and expos; or to recover from specific disruptions affecting tourism such as natural disasters, health outbreaks, or the overall global economic crisis. Another key finding of the publication has been the increased responsibility for domestic tourism among national tourism organizations. With consumers tending to travel closer to home in times of economic hardship, several destinations have seen domestic tourism endure the crisis better and even grow significantly. The publication reports that 70% of respondents currently see domestic tourism as a core responsibility, more than double the equivalent share five years ago. UNWTO estimates that domestic tourism represents four times the volume of international tourism, i.e., there are some 4 billion domestic tourist arrivals worldwide compared to the 880 million international tourist arrivals registered in 2009. The publication further identifies e-marketing priorities and trends, in particular regarding the use of new technologies in tourism marketing and promotion. The report reveals that average spending on internet and e-marketing activities varies from $50,000 (USD) for some of the smaller ones to $5-7million (USD) for some of the largest and richest destinations. The UNWTO report is good news for timeshare vacationers. You can find a timeshare rental or exchange in such emerging markets as Thailand, South Africa, China, and Indonesia. Hyatt Hotels & Resorts has just introduced its newest facility in Park City, Utah. Hyatt Escala Lodge opened on November 23, 2010. The ski-in, ski-out condominium hotel property is located at the base of the Sunrise Chairlift in the Canyons Resort in Park City, Utah, the largest ski and snowboard area in Utah with 4,000 skiable acres. Hyatt Escala Lodge brings a new level of sophistication to the destination. The resort is reminiscent of the Grand European lodges of a bygone era, with native mountain stonework and timber frame construction. Hyatt Escala Lodge at Park City consists of 85 spacious condominiums, which can be divided into 178 residential-style, hotel suites ranging in size from one-bedroom units at 680 square feet to four-bedroom units with 2,810 square feet. The suites feature mountain view balconies, living and dining rooms, fully equipped gourmet kitchens with stainless steel appliances, alder cabinets, extensive millwork, and hardwood flooring, as well as in-suite washers and dryers. With stone fireplaces in all living rooms and in most master bedrooms, and custom stone flooring, jetted tubs, and European frameless showers in the bathrooms, guests will experience a sophisticated escape. "We are thrilled to add Hyatt Escala Lodge at Park City to our strong portfolio of hotels in the Mountain West. Park City is a spectacular year round resort destination offering a wide variety of activities, which complement the natural beauty of the surroundings. The location and quality of Hyatt Escala Lodge will appeal to travelers who want to experience a mountain getaway in any season," said Chuck Floyd, chief operating officer, North American operations, Hyatt Hotels Corporation. "We look forward to offering guests of Hyatt Escala Lodge the level of service and authentic hospitality that Hyatt guests have come to expect." Hyatt Escala Lodge is 30 minutes from The Salt Lake City International Airport and Heber Valley Airport (Russ McDonald Field), which accommodates private jet service. The hotel is only minutes from downtown Park City's historic Main Street and the other two major ski resorts in the area, Deer Valley Resort and Park City Mountain Resort. Hyatt Escala Lodge is part of one of the most popular ski destinations in the world. During the summer months the resort will be an ideal base for exploring Park City and enjoying its many outdoor summer activities such as golf, fly fishing, and mountain biking. Hyatt Hotels Corporation, headquartered in Chicago, is a leading global hospitality company with a proud heritage of making guests feel more than welcome. Thousands of members of the Hyatt family in 45 countries strive to make a difference in the lives of the guests they encounter every day by providing authentic hospitality. Interval International, a prominent worldwide provider of vacation services and an operating segment of Interval Leisure Group, has been tapped for a Gold Adrian Award by Hospitality Sales & Marketing Association International (HSMAI). Interval’s “Finders Keepers” web promotion excelled in the digital marketing category of the 54th Annual Adrian Awards, the largest and most prestigious global travel marketing competition. As a Gold Adrian Award winner, “Finders Keepers” is now a finalist for a Platinum Adrian Award, one of HSMAI’s highest honors. Focused on enhancing engagement with Interval’s nearly 2 million member families, “Finders Keepers” offered five $1 Getaways (discounted resort rental weeks) per day on IntervalWorld.com, over a 10-day period. Destinations and check-in dates varied, and the accommodations were offered at random times throughout each day without prior notification of the details. Fifty lucky “finders” “kept” the Getaway vacations to resorts located around the world. “We connected with members through IntervalWorld.com, Interval World Magazine, and email, and the response to ‘Finders Keepers’ was extraordinary. Website visitation was up more than 19 percent, page views increased 85-plus percent, and over 7,000 new Member Profiles were created,” noted Sharon Freed, senior vice president of consumer marketing for Interval International. This year’s Adrian Awards contest attracted close to 1,100 entries that were judged by top executives from all sectors of the industry. HSMAI will recognize Interval and other winners at a gala in New York City on January 31, 2011, where 1,000 hospitality, travel, and tourism marketing executives are expected to be in attendance. Founded in 1927, HSMAI is a global organization of sales and marketing professionals representing all segments of the hospitality industry. With a strong focus on education, HSMAI has become the industry champion in identifying and communicating trends in the hospitality industry. The United States doesn't attract nearly as many foreign travelers as it used to. And to try to address that, the U.S. government and travel industry have just announced the launch of the new Corporation for Travel Promotion. Until now, each U.S. state has been responsible for attracting its own domestic and international tourists. The United States has never promoted itself to the world as a whole country. "The U.S. never needed to until after the 9-11 attacks," says Geoff Freeman of the U.S. Travel Association. "Then international neighbors started feeling like they weren't wanted." The U.S. has seen fewer overseas visitors in every year since September 11, 2001. And the decline in tourism has cost the country an estimated 18,000 jobs. The Corporation for Travel Promotion is trying to bring back those jobs. A public and private partnership between the government and the tourism industry, the CTP board members include Mark Schwab, senior vice president-alliances, International and Regulatory Affairs, United Airlines; Al Weiss, president, worldwide operations, Walt Disney Parks and Resorts; and Caroline Beteta, president and CEO, California Travel & Tourism Commission. The group says one of its first tasks will be convincing international travelers that the U.S. is looking forward to seeing them, and every state needs the power of the U.S. brand to encourage people to visit. “Even California does. Certainly Mississippi does, or Tennessee,” says Caroline Beteta, president of California's Travel & Tourism Commission, and now also the vice chairwoman of the CTP. "We need people to be thinking about America. If they're not thinking about America, they'll never consider California." Each state is still going to promote itself and its iconic landmarks, and Beteta says the CTP will also promote those same icons to attract first-time visitors. "In China and India, where it's a life dream for somebody to visit America, they're going to be more responsive to the Golden Gate Bridge, the Statue of Liberty, and Las Vegas." But Beteta says the group plans to market all of the country — all the different experiences and food cultures that aren't as popular abroad. She calls it the "Undiscovered U.S."
The U.S. Travel Association's Freeman says getting Homeland Security to improve the visa system and create a more efficient and "friendly" entrance procedure will be the most challenging work for the CTP. "We have to convince these leaders to embrace the idea that we can be the world's most secure country, while also being the world's most welcoming, while also being the world's most efficient, while also being a country that promotes commerce," Freeman said. Accenture and Hilton Worldwide announced today a multi-year agreement to provide the global hospitality company with application development and support services for its property management systems and multi-brand, transactional websites covering more than 3,600 hotels and resorts worldwide. "We are proud to support Hilton Worldwide's global network as the newest member of their Innovation Collaborative," said Michael Boushka, Accenture's North America Transportation and Travel Services Lead. "We will leverage our leading-edge services to strengthen the company's technological capabilities and improve efficiencies, while freeing up Hilton Worldwide's workforce to concentrate on innovating in the hospitality arena." This agreement makes Accenture a founding member of the Hilton Worldwide Innovation Collaborative, a consortium of technology leaders working together to deliver cutting-edge solutions for varied business needs. With its partners, Hilton Worldwide plans to enhance its operational efficiencies and continue to provide a world-class experience for guests. "We are excited to welcome Accenture, one of the world's leading technology companies, to the Innovation Collaborative," said Robert Webb, Hilton Worldwide's Chief Information Officer. "Accenture's global experience in the hospitality industry and existing knowledge of Hilton Worldwide's systems will allow us to further explore our next-generation system capabilities." Accenture is a global management consulting and technology services company, with approximately 204,000 people serving clients in more than 120 countries. Combining unparalleled experience, comprehensive capabilities across all industries and business functions, and extensive research on the world's most successful companies, Accenture collaborates with clients to help them become high-performance businesses and governments. The company generated net revenues of US$21.6 billion for the fiscal year ended Aug. 31, 2010. Hilton Worldwide is a leading global hospitality company, spanning the lodging sector from luxurious full-service hotels and resorts to extended-stay suites and mid-priced hotels. The company is dedicated to continuing its tradition of providing exceptional guest experiences across its global brands, which are comprised of more than 3,600 hotels and resorts in 82 countries, and include Hilton Grand Vacations Club timeshare resorts. Just in time for Christmas Wyndham Worldwide, one of the world’s largest hospitality companies, has announced that through its ”social good" campaign the company’s Wishes by Wyndham philanthropic program will donate $60,000 to be equally divided between its three signature charities: the Association of Hole in the Wall Camps, Christel House International, and Starlight Children’s Foundation™. During the three-month Facebook campaign that began in August, Wyndham Worldwide pledged to donate $1 to its signature charities (up to $60,000) for every new person that “liked” the Wyndham Worldwide Facebook page. Through the campaign, Wyndham Worldwide gained almost 5,500 Facebook fans, who shared nearly 7,000 Facebook posts and tweets about the program. In line with Wishes by Wyndham's mission, each of three signature charities will use their $20,000 donation to help improve the lives of children in need. The Association of Hole in the Wall Camps is an international family of camps and programs that provide life-changing camp experiences to children with serious medical conditions, free of charge. Christel House, created by RCI co-founder Christel DeHann, is dedicated to improving the lives of impoverished children around the world by providing educational opportunities, community support, health care, counseling and more. Starlight Children’s Foundation™ helps seriously ill children and their families cope with their pain, fear and isolation through entertainment, education and family activities. Thank you Wyndham! And here’s a list of a few of our favorite Wyndham timeshare resorts: For a special Christmas holiday treat see the National Christmas tree in Washington, D.C., and stay at the Wyndham Old Town Alexandria; celebrate in New Orleans' French Quarter all bedecked in holiday garland and stay at the Wyndham New Orleans at La Belle Maison; or enjoy Gaylord's ICE! extravaganza when you stay at Wyndham Nashville in Nashville, TN. The holidays are a time of good cheer, merriment, and fun. Travel is often times much less so. If you're planning to travel to a timeshare rental vacation this holiday, there are ways to lessen the stress and have a much more relaxed experience. ABC News technology expert Ki Mae Heussner offers suggestions on how to survive holiday travel - using apps for your smartphone. If you're one of the many people (almost half) in the United States who own a smartphone, you'll appreciate Heussner's list of the top 5 smartphone apps that will help put a jingle in your step as you travel this holiday season. This is a simple calculator that lets you type in your airline, departure airport and arrival airport to figure out how much checked and carry-on luggage you can bring for free, and compare costs for excess baggage across 175 airlines (see photo). If you want to minimize your time talking to TSA agents at the airport, download the agency's free application and take a look before you get in the security line. The app lets you look up the approximate wait times for the security lines at your airport, as well as see airport delays across the country. It also includes a "Can I Bring?" search tab that will help you figure out what you may and may not bring on board. For the traveler who needs some help staying organized, TripIt makes it easy to manage itineraries for several trips at once. All you do is send the free service the confirmation e-mails from any of 1,000 travel companies (including airlines and hotels) and TripIt transforms the information into easy-to-navigate lists and tabs. It automatically includes necessary directions and relevant maps. TripIt also helps you share your travel information with friends and family in Facebook, LinkedIn or your TripIt network. For long layovers and flight delays, Gate Guru is a must-have application. This app provides information about all the businesses near your gate or in your concourse or terminal, along with user reviews, maps and pictures. Instead of walking aimlessly around the airport, hefty bags in tow, you can just pull up the app and find out the best places for a cup of coffee or a decent meal. This navigation application provides updated maps, turn-by-turn directions and traffic information for the U.S., Canada, Western Europe, Mexico and Brazil, depending on which package you purchase. Just hop in the car wherever you are, pull up the application and type in your destination. The application provides voice directions while still letting drivers take and place phone calls. Holiday travel by the Numbers - TripAdvisor®, the world’s largest travel site, today announced the results of its December holiday travel survey of more than 1,000 U.S. travelers. Statistics like these are always fun. See where you might fit as you head to your holiday timeshare rental. Forty-two percent of Americans plan to travel for the holidays. Among those, 45% are planning to fly, while 51% expect to drive. Among the respondents 22% said they will spend more than $2,000 on their holiday travel alone. Interestingly, 66% said the economy is not affecting their December holiday travel plans. Among the 34% that are factoring it in, 6% are taking a shorter trip than usual, and 4% are planning to drive instead of fly. With the increase of airline baggage fees, travelers continue to seek ways to avoid these costs. Thirty-one percent say they will fly this holiday season with an airline that does not charge for checked bags this holiday season; 29% plan to bring only carry-on bags; and 22% will have online gifts shipped directly to their holiday destinations. Thirty-two percent of respondents said they anticipate being stressed by December holiday travel. Thirty-nine percent of respondents will travel at off-peak hours to limit the stress of holiday travel. The top 3 travel annoyances during the holidays according to respondents are: airline delays and cancellations - 24%, inclement weather - 21%, and bad traffic - 13%. What are the dream Christmas travel destinations? Forty-five percent would choose a tropical getaway (see above photo of Oahu) as their dream destination for the holidays; 24% selected a European destination; and 14% would like to travel to anywhere that loved-ones reside. The number one travel-related gift respondents would like most is the iPad, according to 19%. According to respondents, the top 5 major U.S. cities travelers plan to visit for the holidays are Orlando, New York City, Boston, Chicago, and Las Vegas. Happy Holidays! RCI will continue to be the exclusive third-party exchange provider for Disney Vacation Club's more than 150,000 member families. Having already affiliated over 80 new resorts to date in 2010, RCI has one of the most expansive portfolios of high-end affiliated vacation resorts, as well as more choices in more countries than any other exchange network. With the renewal of this relationship, Disney Vacation Club Members will continue to be able to enjoy vacations and different resort experiences at RCI affiliated properties around the world including all-inclusive options, nightly exchanges and a selection of luxurious, high-end fractional properties. Similarly, RCI's 3.8 million members will also continue to enjoy the opportunity to exchange into Disney Vacation Club resorts and may rent at Disney Vacation Club resorts throughout the year. "Renewing this relationship with RCI will allow us to continue to provide our member families with diverse experiences beyond our signature Disney Vacation Club resorts," said Jim Lewis, president, Disney Vacation Club. "A true innovator, RCI continues to offer the management depth, technology resources, and global marketing infrastructure that align with Disney Vacation Club's strategic growth plan." Disney Vacation Club is a vacation ownership program that helps families enjoy flexibility and savings on vacations. By becoming a member of Disney Vacation Club, families can enjoy vacations at Disney destinations worldwide as well as other popular Member Getaways vacation locations around the globe. Disney Vacation Club resort accommodations blend Disney's famed attention to storytelling detail with all the comforts of home. Since its inception in 1991, Disney Vacation Club has grown to serve more than 150,000 member families from approximately 100 countries and all 50 states. Disney Vacation Club is owned by Disney Vacation Development, Inc., part of the magic of The Walt Disney Company. RCI is part of Wyndham Exchange & Rentals, the worldwide leader in vacation exchange and the world's largest full-service vacation rental business, providing access to more than 85,000 vacation properties in approximately 100 countries. "We are absolutely thrilled to continue our relationship with Disney Vacation Club, one of the most internationally recognized and revered brands on the planet," said Geoff Ballotti, CEO, RCI. "We have enjoyed our relationship with Disney Vacation Club and look forward to working closely with them as we continue to build new and innovative programs that provide even more member benefits and vacation opportunities." Wyndham Worldwide/Wyndham Vacation Ownership has been selected by the Working Mother 100 Best Companies initiative as one of the nation’s 2010 top companies for family-friendly benefits. With 70 % of mothers working, and women outnumbering men in the workplace for the first time in U.S. history, companies like Wyndham Worldwide have been instrumental in supporting their advancement. “The immense influx of women into the workforce demands changes in workplace culture to address the unique needs of working mothers," said Carol Evans, President, Working Mother Media. Out of the almost 17,000 Wyndham Worldwide employees, 54% are women. Other significant numbers include: Women on the Board of Directors: 29%; Women among senior managers and corporate executives: 42%; Women among the top earners: 48%. “As a mother myself, I can personally attest to Wyndham Worldwide’s passion to make our company a great place for women, especially moms, to work and pursue their careers," said Mary Flavey, Executive Vice President and Chief HR Officer of Wyndham Worldwide. "Securing a spot on Working Mother’s list is particularly exciting for us because we continually look to introduce new programs, opportunities and resources for all of our associates." One of the things that helped Wyndham Worldwide garner its place on the Working Mothers list is its formal flexible work program that was launched in 2009. Associates telecommute, compress their weeks or adjust their days around the core hours of 10 a.m. to 3 p.m.
Another was the At-Home Agent program that allows customer service representatives for the timeshare group to work full-time from home. Research shows that their performance meets or exceeds that of their office bound peers. To combat stress, moms can work out at a 6,300-square-foot fitness center at headquarters, which is open every day from 6:30 a.m. to 7:30 p.m. And meditation, relaxation and prayer rooms at Wyndham Worldwide HQ help employees find peace. Companies were selected for the 2010 Working Mother 100 Best Companies based on an extensive application with more than 600 questions on workforce, compensation, child care, flexibility programs, leave policies and more. Seven areas were measured and scored: workforce profile, benefits, women’s issues and advancement, child care, flexible work, parental leave and company culture. For this year’s 100 Best, particular weight was given to benefits, flexibility and parental leave. Women on Their Way by Wyndham Worldwide is the hospitality industry's longest-running branded program dedicated entirely to female travelers. Since the program's launch in 1995, Wyndham has supported women travelers as they've emerged from a niche market to a formidable force, listening and responding to women's feedback. This has resulted in a better hotel experience for all travelers; including the addition of various amenities to hotel rooms such as coffee makers, full length mirrors, and healthier room service menus. Women on Their Way offers an online resource for business and leisure travelers to find everything needed to plan and book a trip, including expert advice on destinations and timeshare resorts. And now, suggestions on where to spend the holidays. "We are excited to announce our annual list of top holiday destinations," said a spokesperson. "Whether a weekend getaway or a week-long vacation, the family of brands encompassed in the Wyndham Worldwide portfolio has everything to fit your needs this holiday season to rekindle relationships, lift your spirits and create lasting memories." Following are 4 great holiday destinations from the list. Branson, Missouri. Known as the "Live music show capital of the world," Branson, Missouri, is the place to rock out this holiday season. Experience the magic in Branson's historic downtown, shopping district, and many, many Ozark Mountain Christmas shows. See timeshare rentals at the Wyndham Mountain Vista. Lake Tahoe. Split down the middle by California and Nevada's borders, scenic Lake Tahoe is the perfect perennial vacation spot. Recognized for its naturally sunny days and spectacular snow during the winter months, Lake Tahoe is a skier's paradise. A timeshare rental at the posh Wyndham South Shore can provide all the comforts of home and more. Washington, D.C. The entire Washington, D.C., area is bustling throughout the holidays with beautiful classic scenery and lots of things to do. Try a timeshare rental at the Wyndham Old Towne Alexandria. Or, if you want to stay along the banks of the Potomac, rent a timeshare at Wyndham Vacation Resorts at National Harbor, Fort Washington, Maryland. Both resorts are just minutes from the monuments and museums of our nation's capital. Oceanside, California. With an ideal climate make sure to bask in the mild winter temperatures and classic coastal atmosphere of this charming beach town, just a half hour from San Diego. Rent a timeshare at the Wyndham Oceanside Pier Resort for a perfect holiday beach vacation. When buying a Wyndham Vacation Club timeshare ownership, it is important to always review the developer estoppels form prior to closing. Richard Marquette, editor of the online magazine Vacation-Times, which focuses on the timeshare and vacation ownership industry, explains what that means. Understanding this form, says Marquette, can be confusing if you are unfamiliar with the specialized terms and point designations. It's very important as a buyer you ensure that you understand what type of usage points are going to be available to you in your first year after closing- and how the available point usage can be impacted by the designations. As part of the transfer process, your closing agent should provide you with a copy of the completed estoppels form. This document can also be called an ownership and financial verification form. Be aware that estoppels for a timeshare ownership is quite different from the estoppels request common to traditional real estate. In a residential closing, the estoppels form normally contains loan payoff information from the current mortgage company. In a timeshare closing, the estoppels should provide you with a complete explanation and confirmation not only of the financial status of the property being purchased, but should also provide you with a clear picture of the ownership details of the interval and unit being transferred. Regular Use Points - These are the traditional allotment of points given on the owner's use year anniversary. PIC points - These are Personal Interval Choice points which are given for a non-Fairfield or Wyndham resort week which is deposited into the owners Wyndham points account. Credit Pool Points - Owners can bank Regular Use Points that they do not plan to use during their usage year. Canceled points - These points result from a reservation that is canceled more than thirty days prior to the check-in date. Limited points - A reservation that has been canceled thirty days prior or less to the check-in date will result in this point type. Marquette recommends that before finalizing any closing always ensure that the estoppels matches up with the original purchase and sale contract, and that you will be receiving the point classification you expect. Interval International, a prominent worldwide provider of vacation services and an operating segment of Interval Leisure Group, and the Caribbean Hotel and Tourism Association (CHTA) have announced the renewal of an alliance first established in 2000. The Caribbean has proven itself to be a very popular destination for both current owners and prospective timeshare purchasers. According to the 2009 U.S. Membership Profile, a study of Interval’s U.S. resident members, the Caribbean is the leading international location to which members plan to travel in the next two years. In addition, the "Shared Ownership 2010: A Market Perspective" report cites the Caribbean as the preferred international destination among U.S. leisure travelers interested in traveling outside the continental United States. The study offers unique insights into the evolving product, vacation habits, preferences, and intentions of U.S. leisure travelers who are interested in acquiring some form of shared ownership in the next two years. “We greatly value our alliance with Interval and appreciate the company’s dedication to our organization. Throughout the years, the Interval team has committed significant time and resources to further our objectives and we look forward to working together on future endeavors,” said Alec Sanguinetti, director general and chief executive officer of CHTA. Interval will continue to play a leadership role in supporting CHTA programs and events, including the Caribbean Hotel & Tourism Investment Conference and the Caribbean Marketplace Conference. The company also spearheads fundraising initiatives in partnership with the vacation ownership industry for CHTA’s Education Foundation. Interval International operates membership programs for vacationers and provides value-added services to its developer clients worldwide. Based in Miami, Florida, the company has been a pioneer and innovator in serving the vacation ownership market for more than 34 years. When you rent a timeshare on Kauai, Hawaii's beautiful "Garden Island," you can now have a personal tour guide at your beck and call. HawaiiGaga.com has announced in a press release that a Kauai GPS Tour Guide for the iPhone will be available December 8, 2010. This virtual tour guide talks to you as you drive around Kauai. Using the GPS built into the iPhone, the Tour Guide knows exactly where you are and will alert you to hidden beaches, scenic lookouts, historic sites, hikes, farmers markets and many other Kauai attractions. The Tour Guide includes over 200 points of interest and uses a real human voice - not a computer generated one. The application also includes comprehensive beach and snorkeling guides, weather and surf forecasts, driving directions, Kauai background information for tourists including detailed ocean safety guidelines, and select activity and restaurant recommendations. HawaiiGaga.com is a travel website that showcases Hawaii’s beaches, attractions, vacation rentals, and tourist activities. The site includes comprehensive condo guides, a large collection of aerial and panoramic photos, interactive maps, and virtual tours to assist vacation planners in making informed travel decisions. Started in 2008, the website now receives nearly 300,000 visitors per year. There are many wonderful timeshare rentals available on Kauai for your family vacation. Try the Hanalei Bay Resort in Princeville or the Pono Kai Resort in Kapaa. A budget-friendly vacation that includes your own personal tour guide - you can't beat it!